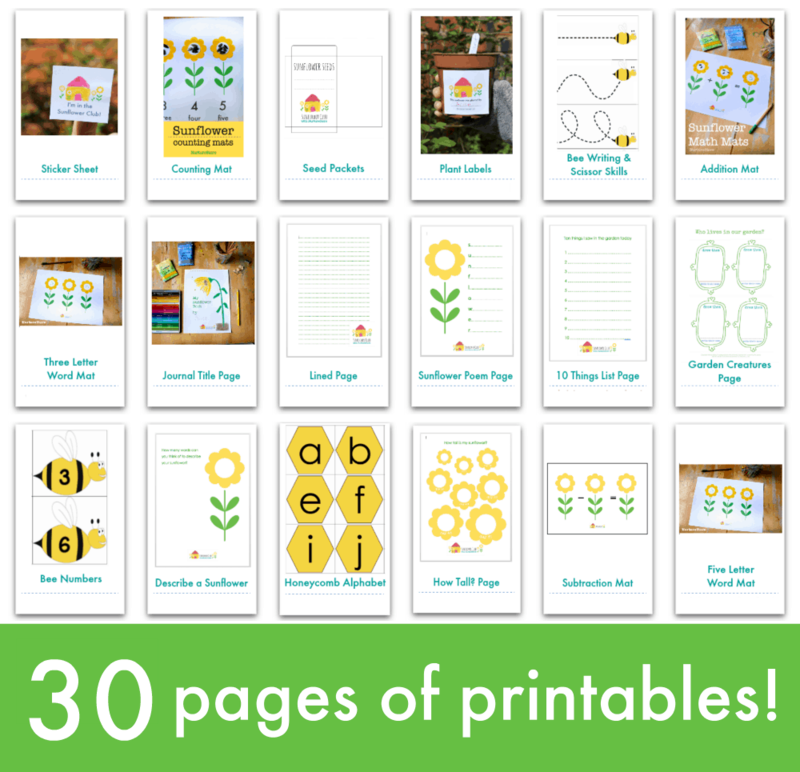 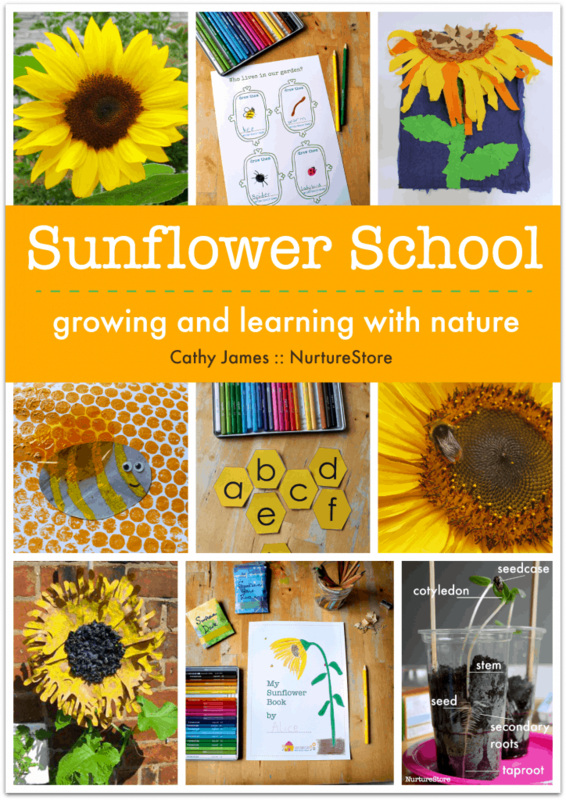 You can print these cards from the Sunflower School Printables kit and set them out with pencils, pens, and scissors to make a bee-themed writing and cutting station. 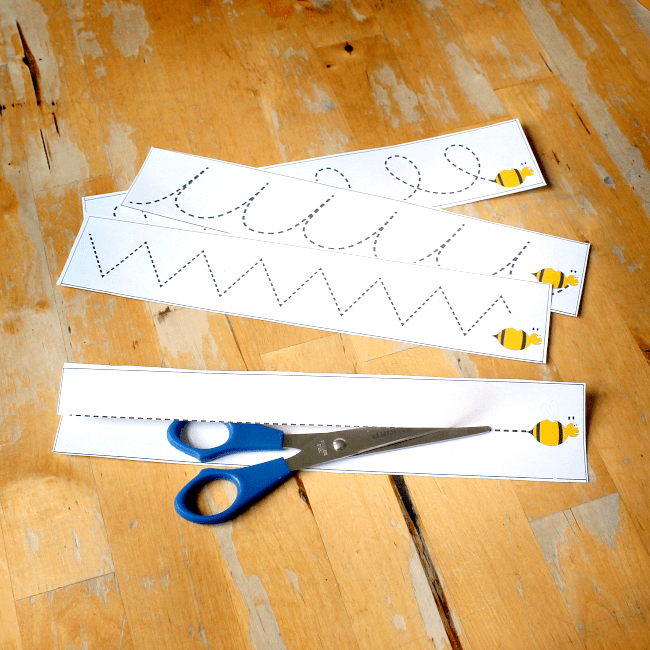 :: follow along the lines with your finger to begin hand-eye co-ordination. 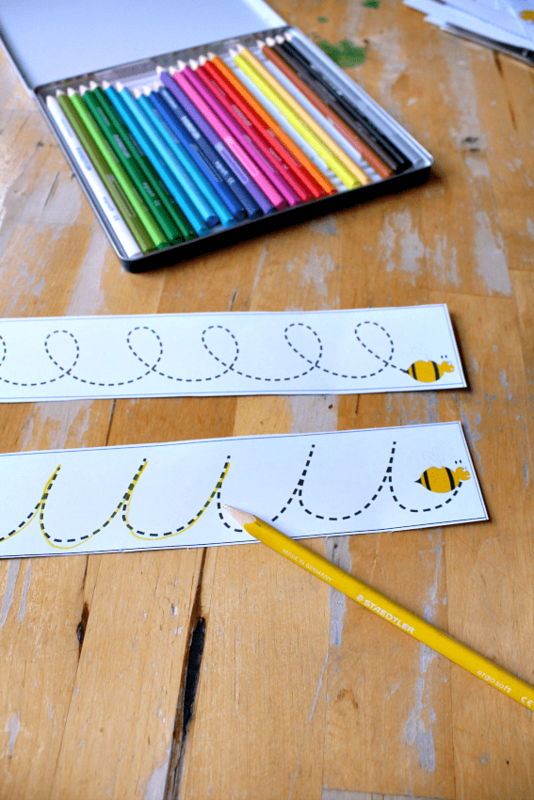 Don’t forget to make a buzzing noise as you draw! 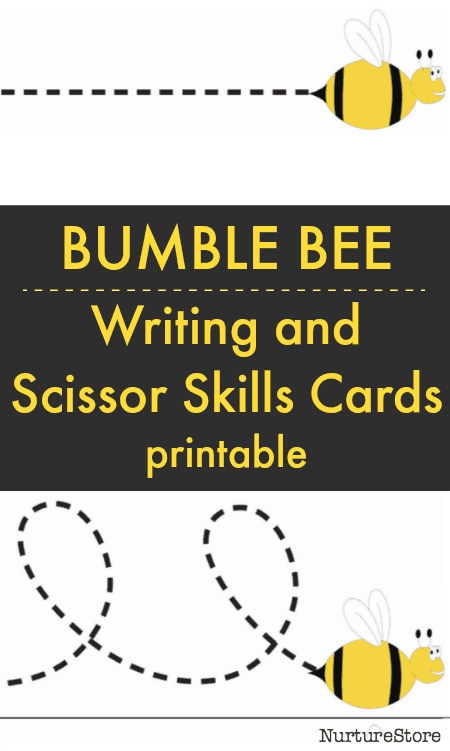 All these help your child begin to notice the differences in letters, and to work on the elements which they will later put together as their write words of their own.